The mystery deepens with a visit to Fairyland through the portal of a magical painting in this latest volume of Raule’s Renaissance-meets-X-Files series with art by Juan Luis Landa. Three agents trained by renowned sage and scholar Nostradamus travel the land, exposing hoaxes and solving occult crimes. When Nostradamus entrusts his disciple Arthus with training his son Cesar, he believes their mission a simple one: investigate a village where a rain of blood has been reported. But upon reaching Cucuron to find all the menfolk missing, Arthus realizes the adventure is more than he bargained for. 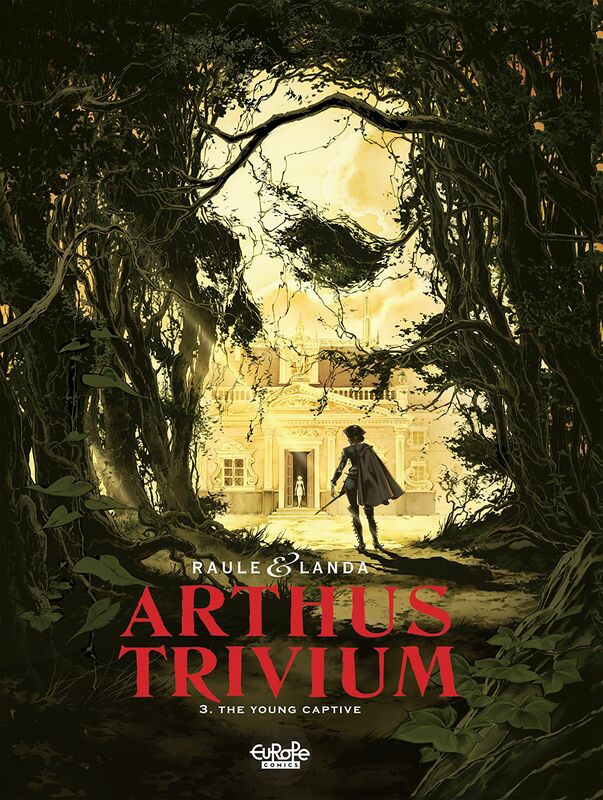 Meanwhile, in Paris searching for a young girl who’s disappeared, Angulus and Angelica come upon a mysterious canvas in the workshop of a famous painter that seems to lead Angelica to another world. The stakes rise for all three disciples as they find themselves separated, each facing their own perils. The Young Captive continues this ongoing series, now available as a digital exclusive from EuropeComics on a number of platforms (Izneo, Kindle, Kobo, Google Play, and Comixology). Stephen King meets superheroes in this heartfelt French tribute to such Americana as small towns, summer camp, kid friendship, and lasting loyalties. A ragtag group of pals reunites in middle age to save the world from a former child molester now turned political power broker. 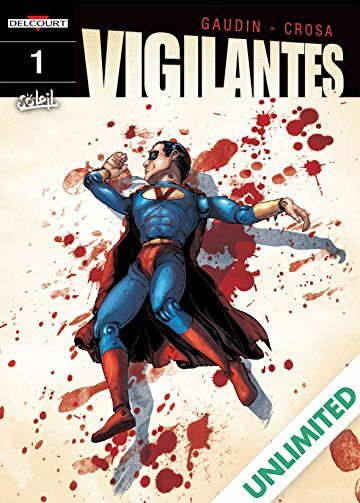 Vigilantes is written by Jean-Charles Gaudin, with art by Riccardo Crosa. The first volume, The Sign, is now available as a digital exclusive from Soleil at Comixology. Present-day America. When William Peter Stahl, a famous politician, announces his aim to participate in the presidential race, four childhood friends recall their promise… . For these four know this man… They are the only ones who know the horrors that he committed more than thirty years ago. Getting in touch with each other, they plan to go back to where it all started, and stop this man who is the embodiment of evil… They have to revive their old secret superhero group – The Vigilantes! 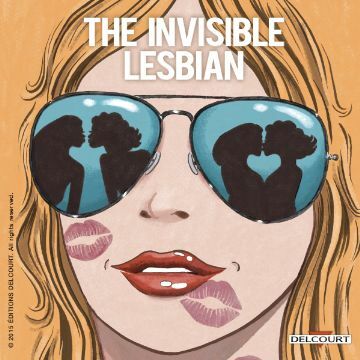 In The Invisible Lesbian, singer, director, and performer Océane-Rose-Marie brings her 2008 hit one-woman show of the same name, about a young woman discovering her sexuality, to the graphic novel form, in collaboration with her theatrical director Murielle Magellan and noted artist Sandrine Revel, an Angoulême prizewinner. This graphic novel is now available as a digital exclusive from Delcourt at Comixology. Oceanerosemarie has been attracted to women from a young age. For some reason, no one will believe she’s a lesbian, not even other lesbians. Is she too feminine? She does love women, but she also loves lipstick and pretty flowery dresses. From a women’s soccer club to the ultra-trendy nightclub “Le Pulp”, she explores and decodes the stereotypes associated with lesbians–and she doesn’t spare the heteros either! 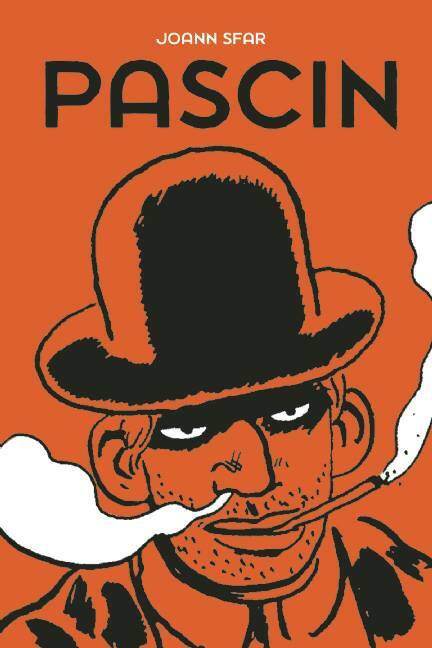 Well-written and miles away from the usual clichés, a funny and compelling graphic novel. 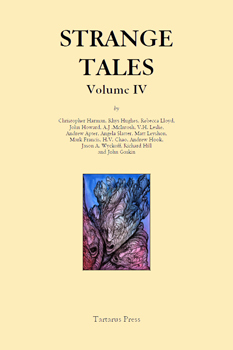 This fourth volume of strange tales from Tartarus Press presents fifteen new stories in the fields of fantasy, horror, decadence and the supernatural. Christopher Harman’s ‘By Leaf and Thorn’ mines the not-to-be underestimated magick of the English countryside, while John Howard’s uneasy timeslip piece ‘You Promised You Would Walk’ is set in modern Berlin. Rebecca Lloyd’s ‘Gone to the Deep’ explores the Celtic sea-myths of the Scottish isles, while Rhys Hughes’ ‘The Secret Passage’ follows the architectural obsession of a would-be good son. Matt Leyshon has his ne’er-do-well anti-hero escape to a Greek island in ‘The Amber Komboloi’, while Angela Slatter’s ‘The Badger Bride’ follows the adventures of her shape-shifting, grown-up fairy-tale characters. H.V. Chao’s ‘The Recovery’ details a writer’s decadent working holiday in the South of France, while in ‘Drowning in Air’, Andrew Hook’s protagonist visits an anxiety filled, post-war Japan. More stories of the highest quality—by John Gaskin, Jason A. Wyckoff, Richard Hill, Alan McIntosh, V.H. Leslie, Mark Francis and Andrew Apter—contribute to a fascinating, rewarding, and sometimes bracing trip through the highways and byways of contemporary strange fiction. Strange Tales IV is a sewn hardback book of 252 pages with silk ribbon marker, decorated boards, head and tailbands, and d/w. Limited to 350 copies. Some Comics I’ve Been Working On… STRIKES BACK! Huge congratulations to all my fellow PEN/Heim Translation Fund winners this year! My thanks to the PEN American Foundation, and to this year’s Advisory Board—Susan Bernofsky, Barbara Epler, Richard Sieburth, Lauren Wein, Eliot Weinberger, Natasha Wimmer, and Matvei Yankelevich, chaired by Michael F. Moore. I am very flattered to have my translations deemed “vivid and authoritative” in the press release, which includes a snippet from Jean Ferry’s story “The Garbagemen’s Strike.” The story is now available in its entirety for your reading pleasure online in the latest issue of Anomalous (#9). Wakefield Press will publish the prizewinning project, Jean Ferry’s only prose collection, The Conductor and Other Tales. It is due out in November. Click “Forthcoming” in the left sidebar for a fuller description. That’s funding from PEN America and PEN England in the same year! Where else can you crow about that immodestly, if not on your own damn blog? Quick! There’s only five days left to save artist Andrew G. Fisher’s photobook Perspective and kickstart it into existence! You could be holding a deluxe 64-page square softcover book containing 85 meditative images on the ephemerality of life. The book adapts Fisher’s first photofilm, showcasing his flair for compositional drama and control of black and white. Among the interesting work at his site is Forgotten Corners, a series considering urban decay. With 8 days to go, Anomalous Press is less than $40 shy of the funds it needs to publish six fantastic books that their editorial team has donated time and talent to cull, proofread, edit and design. Since its founding in March 2011, Anomalous has been an on-line literary journal for poetry, fiction, non-fiction, and translation, but it’s taking the leap into the world of book publishing. All funds are strictly budgeted to pay printing; shipping; buying ISBN numbers for print, ebook, and audio versions; and paying Kickstarter and Amazon their dues. Click on over to the Kickstarter to read in detail about the six outstanding titles by Janis Freegard, Mike Schorsch, Liat Berdugo, Askold Melnyczuk, Sarah Tourjee, and Éric Suchère translated by Sandra Doller that YOU could help make a reality. Because of the unforeseen rapidness of closing in on $5000, we’re going to add some new Stretch Goals in which everyone will win! If we raise an extra $100 (to reach $5100), we’ll make a postcard from The Everyday Maths that everyone will get. If we reach $5300, we’ll make a set of three postcards from the books that everyone will get. $5500 and we’ll make Anomalous buttons using images and text from the books that everyone will get. $6000 and we’ll make the postcards, buttons, and be able to give token payments to our contributing authors, cover artists, and composer. Not what they’re worth, but a gesture of thanks for their fantastic cont ributions that the world can now enjoy. Thank you for all you’ve done so far! We still have eight days to go, and I’m just tickled to see how this thrilling run ends. H.V. Chao’s short story “A Portrait in the Attic” is up at The Coachella Review, kicking off a year of six of his short fiction publications slated so far—seven, if you count G.-O. Châteaureynaud’s translation “La main de mon père” in Brèves (the English original, “My Father’s Hand,” is forthcoming). “Portrait” is the first to appear in English. I’m back in my bimonthly Monday groove at Weird Fiction Review, blogging on all things French and fantastic, starting with this post on Jean Ferry, author of “The Society Tiger,” my translation of which featured in the early days of WFR. I have a bad habit of announcing two-parters and not following through—I currently owe second parts to my Béalu and Brion posts—but caveat lector to those awaiting: it might be a bit. Sorry! Never fear, though—they will be finished! 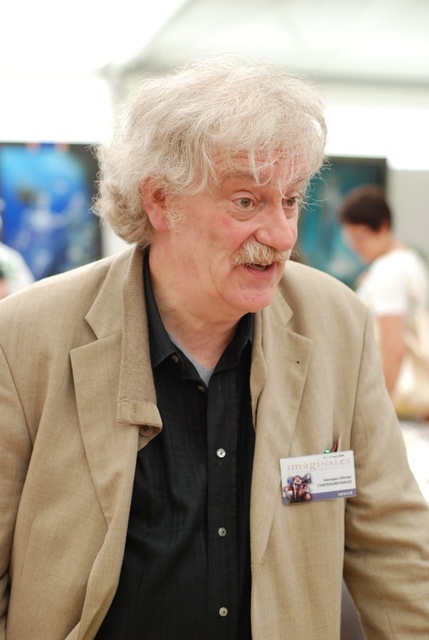 The Tin House blog has run my piece on Charles McCarry’s novel The Secret Lovers. I’ve been working my way through the McCarry œuvre since last summer for sheer pleasure, and even though some novels are inevitably better than others, never once has his work failed to offer something compelling, memorable, and deftly presented. 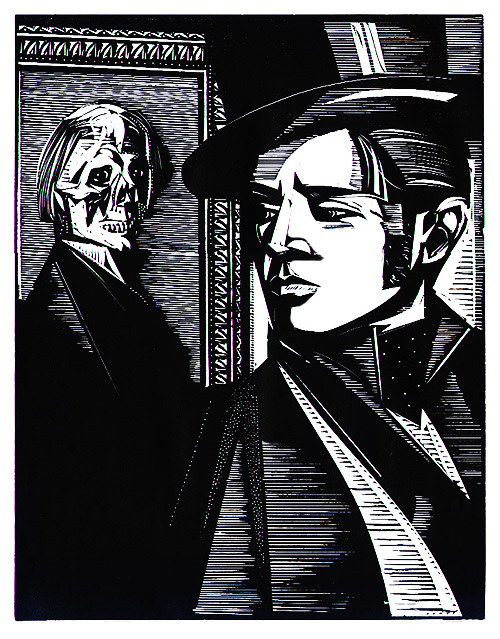 After a three-year hiatus, I’ve also taken up blogging as part of the team again at Absinth€ Minded, the blog of Absinthe, Dwayne Hayes valiant journal of new writing from Europe, one of the few translation-only litmags on the scene. My first post concerns a fan petition for the translation of comics giant Moebius’ work into English, and goes on to some thoughts about English as a world language and the power of fans to change publishing in this time of transition. 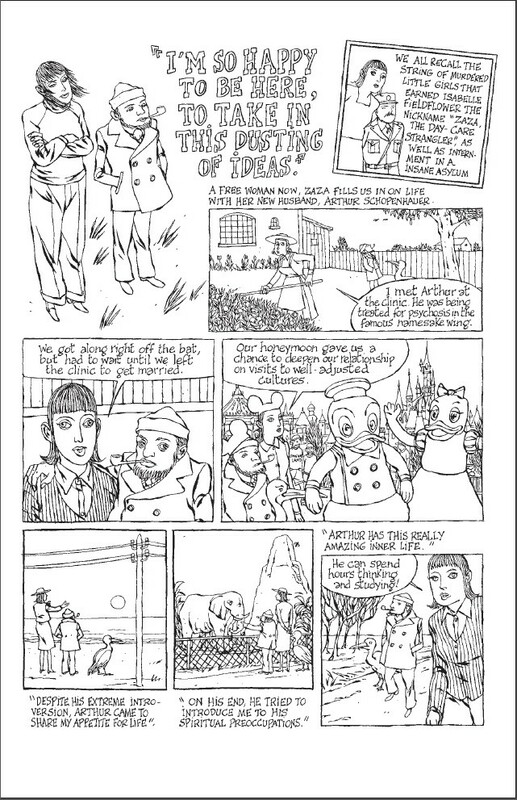 Now up at Words Without Borders: their annual comics issue, chock full of goodies for the perusing, including quite a number from France. I have a chapter up, entitled “Tongue-Tied,” from Li-Chen Yin’s memoir Formosa (Ça et Là, 2011). As this is my blog, and I get to say what I want, I’ll say it: the author’s choice of font to replace her original hand-lettering looks awful, and nearly ruins the piece. But the Li-Chen Yin is still a creator of potent metaphorical images, and her exploration of the politics of language education and its effects on children still packs a punch. Critic Christine Bini did me the favor of translating my essay on Châteaureynaud’s story “Delaunay the Broker,” on her blog at Le Nouvel Observateur—according to Wikipedia, “the most prominent French general information magazine in terms of audience and circulation.” The piece was first published in English on the Kepler’s Bookstore blog, Well-Read Donkey. For the second time (spring 2011 was the first), novelist and professor John Gregory Brown will be teaching A Life on Paper in his course The Fantastic in Fiction at Sweet Briar College. Over the course of the semester, students will read the entire book and blog on every story, in the context of work by Steven Millhauser, Kij Johnson, and Gabriel Garcia-Marquez. Seeing these young readers’ reactions was one of Châteaureynaud’s favorite parts of 2011, a sentiment I can only echo. You are currently browsing the advertising category at EDWARD GAUVIN.